At Mapa Mental, 61 artworks of different formats, speaking one another, were integrated; the artworks dealt with the changing landscape of the city, identity, territory, social problems and future. An echo resounds in the memory like an old map that loses its validity. Armando Miguélez shows us a country which we know by memory, but that we no longer understand. Geological layers are overlaped to build the mountain, like cultures, in order to be what we are. María García Ibáñez says the landscape; she feeds us the mountain served on a plate. At one point of deep sadness, even the flag lost its colors. En un momento de profunda tristeza, hasta la bandera perdió sus colores. ‘Colectivo Cráter Invertido’ presents us that pain in its work. ‘Yo espero. I expect. Me the hope me’ (‘I hope I. Yo espero. Yo la esperanza Yo’), the one that we all share with the work of Rita Ponce de León, that with a stream of water like a fountain, it opens us up the possibilities. We get closer to the city from above and we see the lights of the houses in the mountain, in the distance. The piece ‘Muñequita Sintética’ by Rocío Montoya, title that paraphrases the one of a rock song, making reference to ‘mona de thinner’, reflects on vice, drugs and social landscape of the city, with hundreds of little tins of glue and lights of lamps, we see a distant reality. A swimmer girl is near-jumping into the void. Downwards there is water… but not enough. ‘The Jump’ by Rodrigo Red Sandoval, is an action of attempt, an impulse that doesn’t happen; and the endless cycle of the doubt starts again. “Come on, come on, come on!, don’t lose your edge, because if you lose it, you lose the way”. “Piñatas”, Undocumented Interventions, by Julio César Morales, cross cultural frontiers, they carry kids inside in order to take them to the other side, with their parents, reuniting the desperate families, in search of a bridge that enables encounter, in the middle of the social problem which it is the border barrier. …And overcoming all the obstacles, they cross the kids for the celebration. ‘Complaining but not doing anything is easy’. ‘Nothing is forever’. ‘Earth does not change without you’. ‘The movement of liberation of the coca plant’. (‘Quejarse pero no hacer nada es fácil. Nada es para siempre. El mundo no cambia sin ti. The movement of liberation of the coca plant’). They are some of the phrases written by artists, taken from the street wisdom, they are printed on the posters that were compiled in the project ‘Tipos Móviles’ by Luis Romero. These popular statements make us think about the different concerns that the artists have from their place, and make us compare or identify with our own worries. The power of the word, ‘VIOLENCE’ (‘Violencia’), on a poster by Juan Carlos Romero, simplifies us with capital and printed letters, taking up all the poster as if it were an infinitive verb, the word that is so conjugatede in our civilization. The drawings by Carlos Huffmann are made with crude pencil, in a clean and heartrending stroke. They tell a dirty and sad story: kidnapping, torture, burning, death. The pieces show us, without artifices, the moment of sacrifice, this unravels a political and cyclical story that comes from an echo, from our ancestors. For lack of affection, Vincent Van Gogh, cut his ear. Yollotl Gómez Alvarado cuts it to the monument of Hidalgo for ransom from the President of the Nation. In a symbolic way to call the attention of the authorities in order to annul Constitution and rethink it, the artist activates in order to call into question the political and social problems of the country leading on from a monument, a historic figure, as it was the priest Hidalgo, demoted in order to be executed. ‘Who disappeared into the volcanoes of Mexico?’ Based on a poem by Allen Ginsberg, which talks about the rejection of the received rules, the alternative sexualities, the use of ilegal drugs, the rejection of materialism and the interest in spirituality. Stéphane Ducret transfers to his paintings, texts that goes fading talking about human condition. A letter which its postage stamp is worth 2 shots, traveled by mail. Michael Hernández de Luna, doing an ironic exercise, names in a critical way the falsification of the value of the deception, as evidence. The artist send the letter with the hope of recovering it, crossing the frontier, waiting that it reaches destination, like the bullets that do not recognize limits. The eyes fixed on the city, look over it to find oneself in it. They discover an outlook with everyday situations, people that go out at night, in their workplace, that take the subway, Nirvana Paz discovers the special light that lays on things, she finds, she reveals beauty. How symbols change their sense over time? ‘Malinche’ by Joel Rendón, as an icon of Mexican Culture, and the drawing of a packet of sweets, ‘Indian’ (‘Indio’), by Marina Sábato finds itself in a conversation of transcultural civilizations. With a cardboard box that contained cans of paint Comex, the artist Erick Meyenberg created a mixture of the national colors that he synthesizes in his interpretation about casta paintings. With a critical look he thinks of a pantone representing percentages of colors that will determine a new race. ‘The phantom is homeland’ (‘El fantasma es la patria), by Erick Meyenberg and ‘Why hell, if we have homeland’ (Para qué infierno si tenemos la patria’) by Minerva Cuevas, they are two pieces that create a tension in the room, heading a direct criticism to the nationalistic idea and the corrupt State. And just like a cumulus of no filter daily information enters the brain, without discriminating, accompanied by our fears and surfaced subconscious, it is the artwork ‘Tree of Life’, created by Emilio Rangel. A crude proposal of how we are seen in our culture: we are on somebody’s back, packed, mixed together, growing by leaps and bounds. There is an endless number of symbols, overlaped images of cartoons and monsters. A chaos that takes shape of tradition. ‘Empty microphones’ (‘Micrófonos vacíos’), without nobody saying, the work by Rafael Uriegas makes us think about the voice that is missing, the absence of the word, the empty and amplified shout, the absence of identity. The naked body of a person that looks for her/his place in a foreign country, lying on the floor of a hotel, it is the piece ‘Camouflage’ by Salva Mogutin, a performance exercise that makes us think about who we are and what we need to be fine. The group ‘Gata Violenta’ in its collage, ‘Neither whores nor saints’ (‘Ni putas, ni santas’) presents the feminism as tool to express their concerns, fight and way of expression. The feminine sensuality, behind the curtain, a black transparent dress sticks out, a desk lamp shines a light on them and reveals their crystalline being. In the piece ‘Nobody pays attention to her’ (‘No la pelan’), Michael Anthony García explores his feminine side, his bisexuality and his view as a complete and honest artist. At nap time, when no one is looking, Ben Aqua takes photos of his friends in the corners of the house and in the courtyard, like at Hollywood movies, and the fantasy of a thriller of the last season, reflects a reality, firearms, kidnapping, a game that makes us sleep poorly and also makes us wake up grouchy. 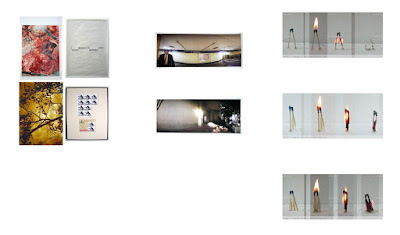 ‘Acapulco Funeral Parlour’ (‘Velatorio Acapulco’) is an installation by Andrés Orjuela that projects / hides hundreds of slides on the wall of the room. The flower of Acapulco, white and unstained is interrupted by the visitor of the exhibition that passes through the installation and reveals with her / his shadow, the image of a person murdered by the “War against drugs”. We say goodbye to ‘Mental Map’, with a piece by Manuel Díaz, that from the moon he looks at us with a nostalgic feeling and tells us: ‘Your wars will end’ (‘Tus guerras terminarán’). 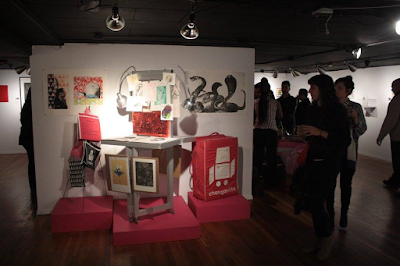 Artists: Alejandra Almuelle, Andrew Anderson, Briar Bonifacio, Daniel Cobos, Faustinus Deraet, Van Regemorter, John Gonzales, “Los Printmakers de San Anto Collective”, Ender Martos, John Medina, Tony Perez, Josue Ramirez, Coco Rico, Natalia Rodriguez, Lys Santamaria, Sixto-Juan Zavala and Raquel "Arty Valentine" Z. 3,650 days (and counting. 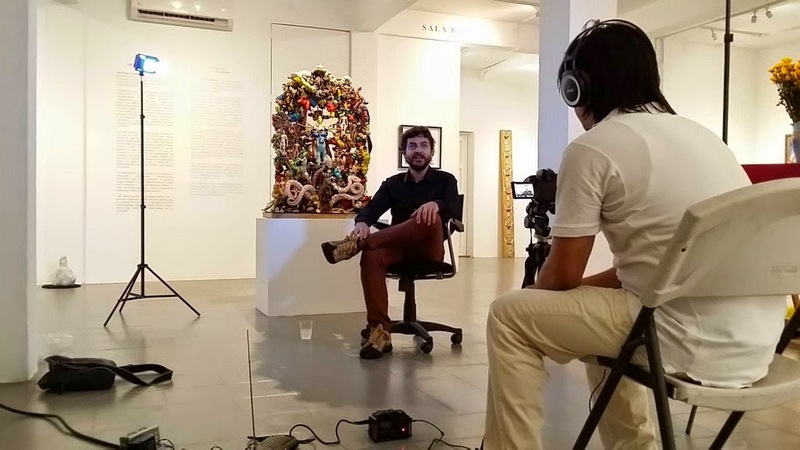 . .) is an exhibition of select artworks of Changarrito Collection that marks the 10th Anniversary of this cultural project created by the visual artist Máximo González. 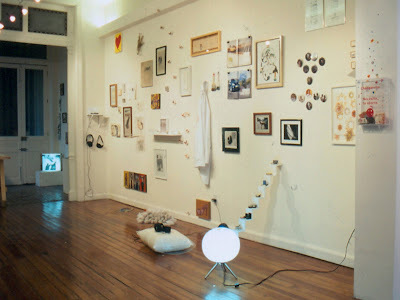 Curated by Martina Santillán, the exhibition includes artworks of Aldo Chaparro, Alison Lee Schroeder, Carlos Huffmann, Iván Buenader, Paloma Blanco, Rafael Uriegas, Topacio Fresh, Marina Sábato, Marta Paulina Lozano, Proyecto Vicente Razo—Ilustraciones Homero Santamaría, Belén Romero Gunset, María García-Ibáñez, Julio César Morales, Daniel Silvo, Miguel Calderón, Daniel Alatorre Canto, Franco Mondini-Ruiz, Carlos Chandler, María José Montijano y Cuqui Jeréz, Helena Fernández Cavada, Rodrigo Red, Betsabée Romero, Emilio Rangel and Rocío Montoya. In February of the year 2005, as an alternative proposal to the official selection to represent Mexico at the International Art Fair ARCO Madrid, González decided to combine the practice of the street trading with the contemporary art. Proposing this work for a fair of the magnitude as Arco Madrid , is imposible not thinking of the market and its implications. 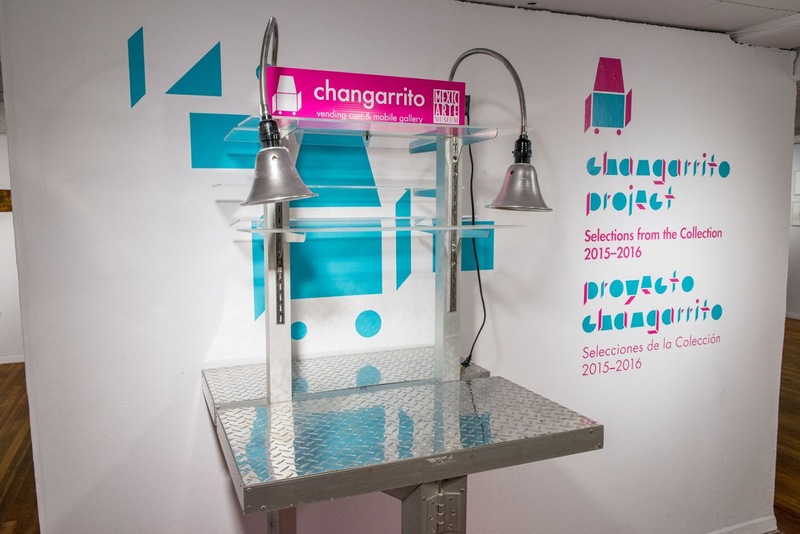 “Changarrito” represents, in its same structure and content, a socioeconomic and cultural reality of today’s Mexico. Changarrito Collection has more than 1,200 works of art and it would be impossible trying to represent it completely. That is why the curatorial selection is focused on the humor as the main subject of the exhibition. Humor has always been a constant in the project, and is through it that González presents us a different way of perceiving our reality. The artists represented here do the same, each one with their unique way of seeing life and the things that surround us. 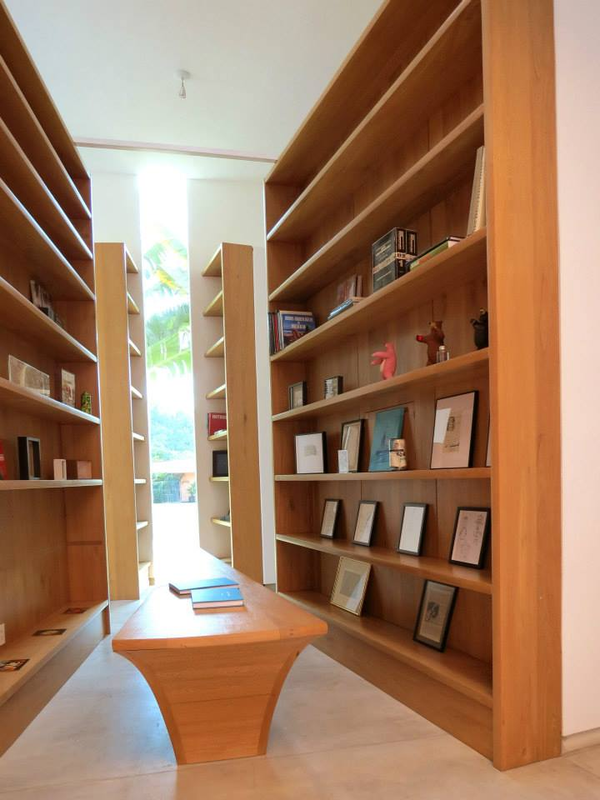 Changarrito has turned into an institution, that makes international exhibitions curated with works of the collection; a publishing house called Letritas del Changarrito, and a Poetic Library, and continues expanding as much in its collection as in its importance within the art world. OPC wants to thank Barlow family for the generous donation of the use of the building. Additionally, OPC wants to thank Máximo González, Iván Buenader, Martina Santillán, Xóchitl Ag uirre, María José Zorilla and Hotel Belmar. "El irresistible deseo de libertad"
"Museo de Arte Contemporáneo MAC8"
“El irresistible deseo de libertad” is an exhibition that includes proposals of artists native to Mexico, Spain, Trinidad and Tobago, United States, Argentina, Brazil, Tadjikistan, Venezuela and India. 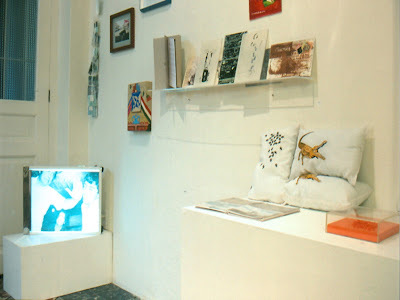 It has been made with artworks belonging to Changarrito Collection, part of Changarrito Project, a not-for-profit independent initiative, created by the visual artist Máximo that for 10 years has exhibited, collected and promoted artists through an alternative platform of diffusion, creating an artistic community without borders, interconnecting different esthetic, anthropological and linguistic interests. "Formas Adecuadas: extractos de la Colección Changarrito"
Checking is the act of looking with attention, and it is during the period of time given to that observation where the characteristics of each element that composes a whole are learnt. 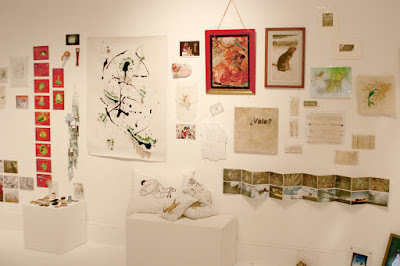 This exercise is necessary if the intention is to suggest a selection of artistic objects to be presented at an exhibition space; an extract that can be used to present new looks within what makes Changarrito Project Collection, a non profit independent cultural project, that exhibits and promotes artists through an alternative platform. The first thing that happens to whom checks, is to go into detail about the physical shape of the object, its discussion content just like technical requirements for its exhibition. Nevertheless, when the ensemble to be exhibited is determined by the restrictions of the place required to be placed, the focus changes. This way, Changarrito Collection exhibition selection at Art Careyes has been determined by this circumstance, pieces feasible to be placed on the shelf of the gallery and modifying with it the original purpose for which those carts where designed. 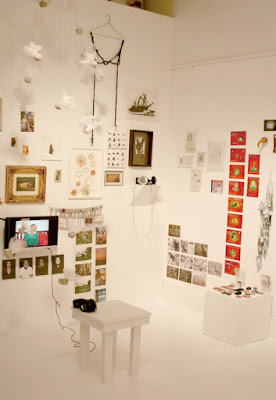 The title of the exhibition suggests a dual reading, and the choice will depend on the spectator; considering that it can be understood in both meanings of the word “adecuado” (suitable): like appropriate shapes to the conditions or circumstances of something, or like providing something to another thing. Besides, the title alludes in a ludic way to the spirit guide of Changarrito Project, generating alternatives of exhibition and diffusion where artists, spectators, researchers and curators access to other ways of presenting, looking, consuming and collecting artistic objects that are made at present, either within the conventional circuit of art or not. "...Mexico City's populous, bustling atmosphere and its relationship to the world is defined by microcosmic moments of exchange encompassing miscommunication, economy, currency, geography, and culture. Transitios is an exploration of artistic ideas traversing the city's borders..."
The number seven is defined by the Oxford Dictionary as the number following six, and the integer immediately preceeding the number eight. It is the number of days it is said to have taken Christ to create the heavens and the earth, culminating on the seventh day with a day of rest that was blessed by God. Seven is the fourth prime number that is divisable by itself and one. Seven is the lowest ...integer that cannot be reprented by the squares of integers. It is the number of notes in the traditional Western musical scale, it is the number of chakras said to exist in the human body. After seven years of marriage partners should gift wool or copper unless suffering through what psychologists refer to as "the seven year itch". The number seven is discreet and simple, yet all at once complex. Its references range from mathematical, scientific, and psychological, to biblical, mystical, and pop culture related. In 2005 the Changarrito project was inaugurated in Madrid, Spain with Mexico as the invited country for the ARCO art fair. Seven years later it is still going strong and growing as artists continue to participate, diffuse, and support the Changarrito all over the world. Seven years later we can say it has grown into a variety of cities in three different countries, and has been the subject of a variety of retrospectives from San Francisco to Venice. For its retrospective exhibition I chose to emphasize the importance of the number seven in the Changarrito's seventh anniversary. Indeed, maintaining a massive collection of small works by a huge list of artist all over the world is no small task. Add to the number of years this collection and list of artist has been maintained, and you will have some idea of the work at hand. This year the online exhibition features 21 works of art, by seven artists, and broken into three different subsections: representational histories, voyueristic awareness and ephemeral language. 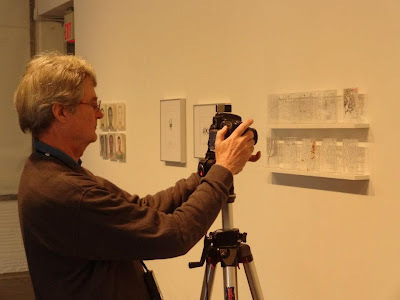 As a multiple of the number seven, the number 21 is at once manageable yet still allows for an exhibition that shows the breadth and depth of the work that has been collected in the past seven years. Entering its seventh year, the Changarrito project continues to flourish and thrive, and as it begins its iconic seventh year of diffusion the implications of the seventh year in which it is beginning is important historically, socially, and, psychologically, all important factors represented by the art and artists in the exhibition. Congratulations to the Changarrito and all who have participated in its projects and performances all over the world for the past seven years. This exhibition has been curated by Carmen Puente and Andrea Coyotzi, for the celebration of the Sixth Anniversary of the appearance of Changarrito in public. The artworks were selected from more than 600, that are part of the permanent Collection of Changarrito, and correspond to different artists that exhibited in Changarrito or were included in the Collection through acquisitions or donations. 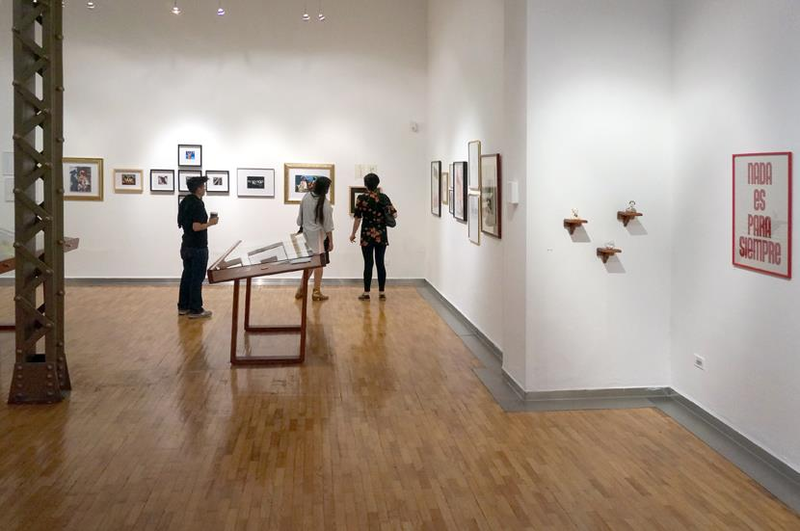 This commemorative exhibition, called by the invited curators: “El que ríe al último ríe...", has been conceived in the order in which is presented, as a cartoon strip, as a game. Changarrito Collection is created with the works of various artists that participates in the Project (either through the acquisition of pieces, or donations received from the artists). 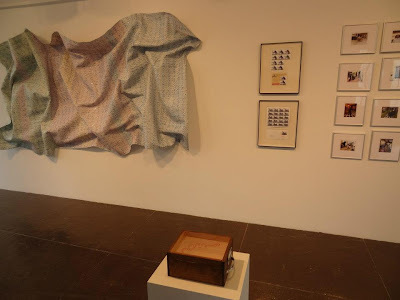 As of March 1st, 2015, Changarrito Collection has 1267 artworks (of which, 141 are take-away), from 455 artists, that have collaborated in some way with the project or have exhibited their work, individually or collectively, in Changarrito. On the other hand, Changarrito Library has 75 books and plaquettes.